Are you looking for a reliable transport company that will organise the transport of your goods in a responsible and timely manner? Then you are in the right place! See how we can assist you. In an effort to ensure harmonious operation of your business, we provide quick, safe and cost-effective transportation of goods. 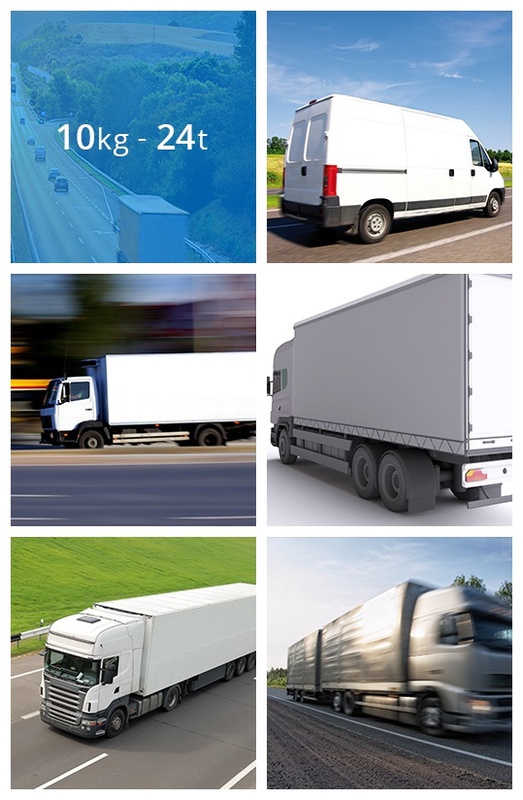 The size and weight do not matter – we approach every client with the same commitment, choosing means of transportation that best suit your needs. We deliver your cargo to all European countries and member states of the Commonwealth of Independent States (CIS) safely and without any risk. If you are looking for efficient and productive transport organisation, benefit from our assistance. Out of concern for the speed and safety of the transport of your goods, we cooperate with proven partners to reduce the delivery time and transportation costs as much as possible. Your satisfaction counts. That is why we guarantee full cargo control at every stage of the service. Need a place to store your goods? Is your warehouse so full that you do not have any room left? We can help you by warehousing your materials and products. We have sufficient space which we put at your disposal. Your goods are safe and always ready for sale or further transport in our care. competitive price – we think that good things should be available to the largest possible group of clients and, thus, we offer competitive prices and consider your needs, regardless of your revenue. It does not matter whether you deal with import or export of goods. We guarantee full assistance that suits your needs and requirements. Partial transport of small consignments? Full truck transport of large-sized goods? No problem! We are ready to face any challenge. With us, you will always reach your destination – safely, securely and on time. We deliver your goods to EU and CIS member states by using a broad and proven range of carriers. We are all striving for the same thing – your satisfaction with our services. No matter the sector you operate in, we provide adequate transport, logistics, forwarding and warehousing support. Insurance coverage for all goods as well as required authorisations, certificates and permits that are at our disposal will save you from worry. We deliver to most European countries within 24 h from loading.